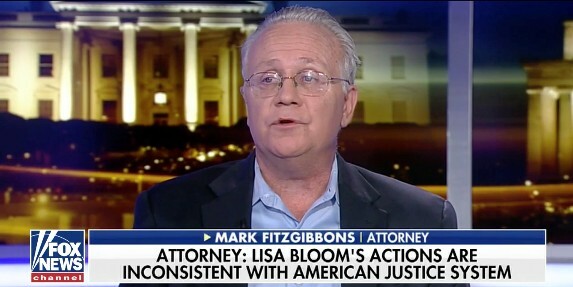 In a recent appearance on the Tucker Carlson Show, I discussed the troubling legal ethics of attorney Lisa Bloom’s attempt to funnel money from undisclosed sources to women to accuse President Trump of sexual harassment. The timing in October and November of 2016 appeared clearly designed to influence the 2016 presidential election. Legal ethics prohibit payments to fact witnesses except for a limited number of purposes, such as travelling to testify; otherwise the offer of money would tempt people to lie. That would create chaos in our legal system. Ms. Bloom’s explanation was that she was acting as a conduit of funds to help protect the safety of the accusers. Protecting any honest accuser from violent retribution is a worthy cause. I remarked to friends that such “private witness protection programs” would have been needed had Hillary been elected president instead of Donald Trump. What will happen to American politics if, as now appears likely, the Republican Party nominates Donald Trump? Here’s one bet: It will get more violent. *** The United States is headed toward a confrontation, the likes of which it has not seen since 1968, between leftist activists, who believe in physical disruption as a means of drawing attention to injustice, and a candidate eager to forcibly put down that disruption in order to make himself look tough. The new culture of physical disruption on the activist left stems partly from disillusionment with Barack Obama. In 2008, Obama’s election sparked unprecedented excitement among young progressives. But that excitement was followed by deep disillusionment as it became clear that even a liberal black president could not remedy the structural injustices afflicting people of color. In the face of media, politicians, and GOP primary voters normalizing Trump as a presidential candidate—whatever your personal beliefs regarding violent resistance—there’s an inherent value in forestalling Trump’s normalization. Violent resistance accomplishes this. In spite of this, such resistance is apparently more offensive and unacceptable to societal norms and liberal sensibilities than the nastiness being resisted in the first place. The peaceable, constitutional transition of power to the Trump presidency was itself a reaction by Americans fed up with corrupt political and media institutions. His brazen style and use of Twitter to call out what many Americans saw were dangers contrasted with the more passive, some say weak, establishment GOP politicians. Escalating tensions this summer have stepped up fears about political violence. *** At the center of it all is President Trump, whose heated rhetoric has angered opponents while firing up his supporters, magnifying the sense that the political divide in the country is growing wider. Donald Trump is addicted to violence. It is the principal force that shapes his language, politics and policies. He revels in a public discourse that threatens, humiliates, bullies and inflicts violence. He has used language as a weapon to humiliate women, a reporter with a disability, Pope Francis and any political opponent who criticizes him. He has publicly humiliated and waged symbolic violence on members of his own Cabinet, such as Attorney General Jeff Sessions, not to mention the insults and lies he perpetrated against former FBI Director James Comey after firing him. Trump, of course, speaks in ways that express the frustration that millions of peaceable Americans without his platform had already felt before his entrance into politics. The left, and particularly the media, had already descended into a culture of statist dishonesty, anti-Christianity, anti-Americanism, and one-sided denial of facts and honest views. Donald Trump was not the first choice of many conservatives, but he has proven himself more faithful to American values and conservatives themselves than so many other GOP politicians who used us for votes. Undoubtedly, if those who run for office have committed unlawful acts, that should be exposed. The biased dishonesty of the media, however, and the violence of the left, have left too many Americans convinced that madness reigns in their actions, which only convinces us that President Trump is the target of lies, and we need more Trump.